Description Photo courtesy of Jean Irwin Hoffman. 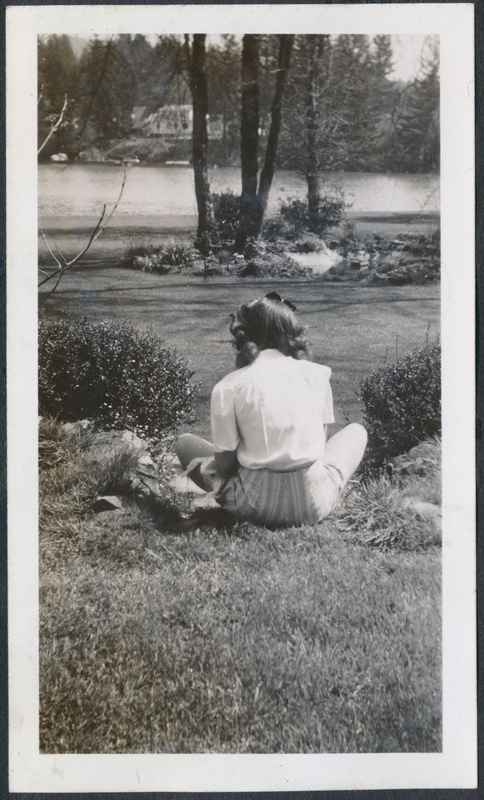 Joan sitting in the yard on the shore of Oswego Lake. The Irwins lived at 4330 Lakeview Boulevard.